James Longacre's One-Ounce 1849 Gold Double Eagle! It all started the day there was too much gold at the U.S. Mint. 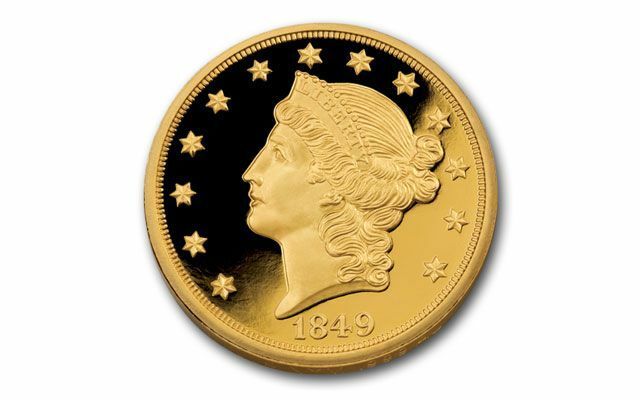 Before the discovery of gold in California in 1848, the largest denomination gold coin struck by the U.S. Mint was the $10 Gold Eagle. After 1848, a river of gold started flowing from California to the Philadelphia Mint. 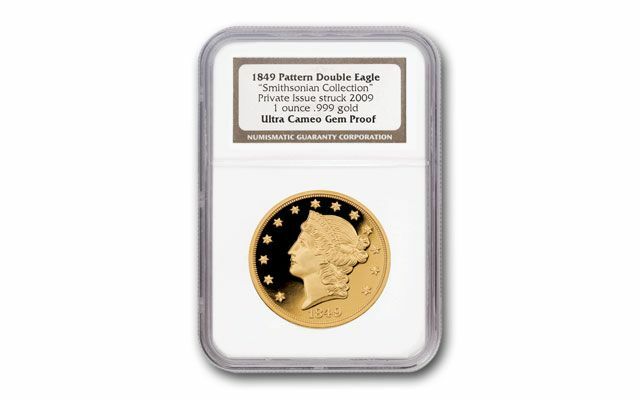 So much gold in fact, that Congress authorized the mint to strike a new denomination: the $20 Gold Double Eagle. The very first coins were struck as proofs in late 1849. But only two survived, and one of those dropped off the coin radar before 1900. Only one 1849 $20 Gold Double Eagle exists today. It's housed at the Smithsonian. Recently, the Curator of the museum decided to share this prized coin with all Americans. 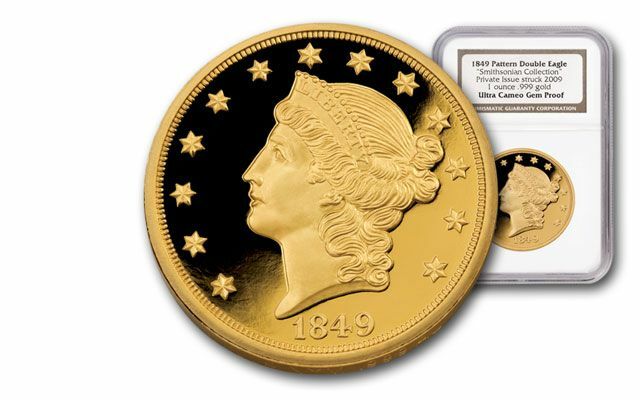 He authorized the striking of this limited-edition 1849 $20 Gold Eagle Tribute Proof. Each is struck in one ounce of 99.9% fine gold and is certified Ultra Cameo (UC) Gem Proof by Numismatic Guaranty Corporation (NGC). Don't wait. Capture your genuine piece of American history before the limited edition sells out. It's a national treasure sure to become a coveted family heirloom!